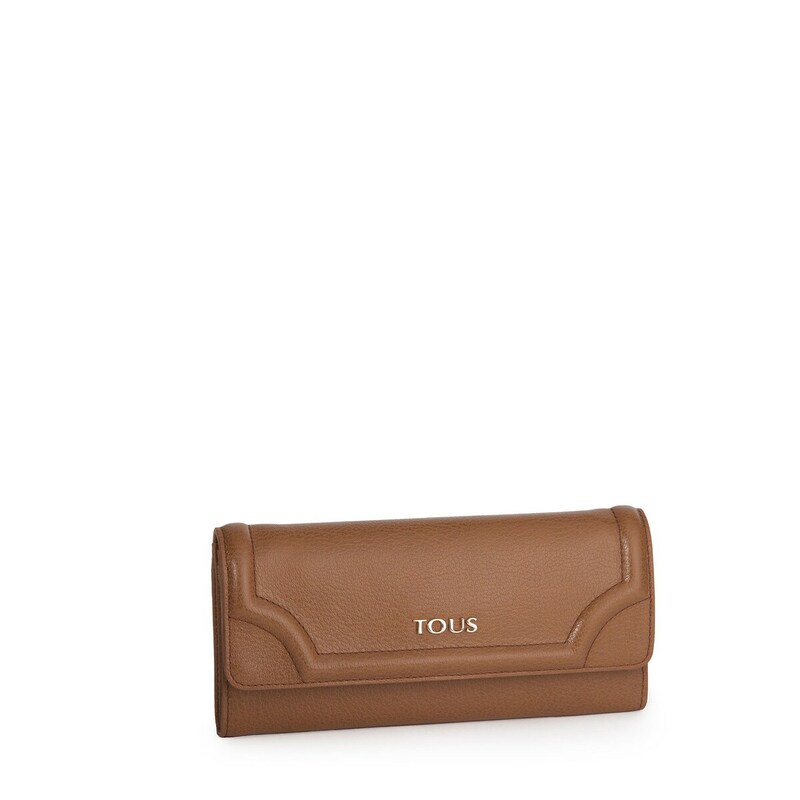 TOUS Obraian collection wallet Abani model in camel color calfskin leather. Closure with two magnetic buttons. 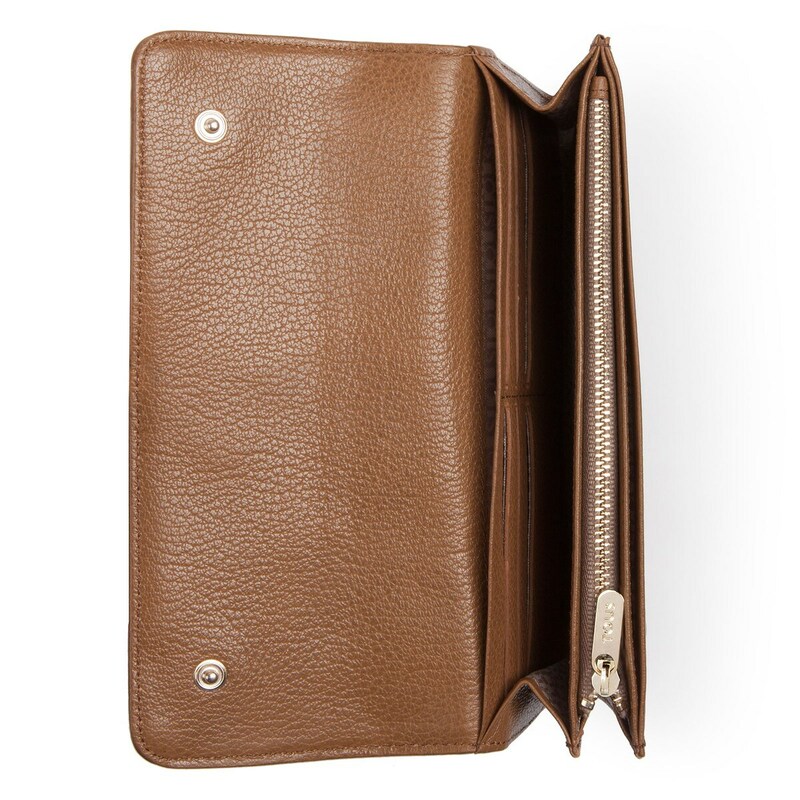 Six compartments for cards, three for various items, two for bills and one for coins. Measurements: 10cm x 19.5cm x 2.5cm.